Thanksgiving Day has passed yet we must remember that everyday is a day to give thanks. I have much for which to be thankful. My husband and best friend Steve has weathered another assault on his body, undergoing a successful cardiac catheterization and stenting procedure two days before the Thanksgiving holiday. He was discharged to home on the day itself, allowing us to spend a very relaxing and quiet day together without the hustle and bustle of large gatherings, lots of food (probably too much) and perhaps feeling rather drained at the end of it all. Please don't misunderstand me - being with family and friends is ever so important, but this year it was good to simply be at home. After all - home is where the heart is, eh? 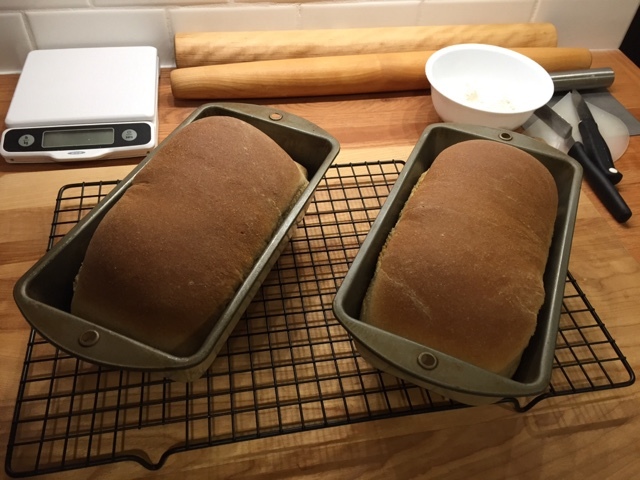 For me the day begged for bread baking. What better way to spend a dreary, chilly and rainy Thanksgiving afternoon than baking one of the staples of life. Let us break bread together. 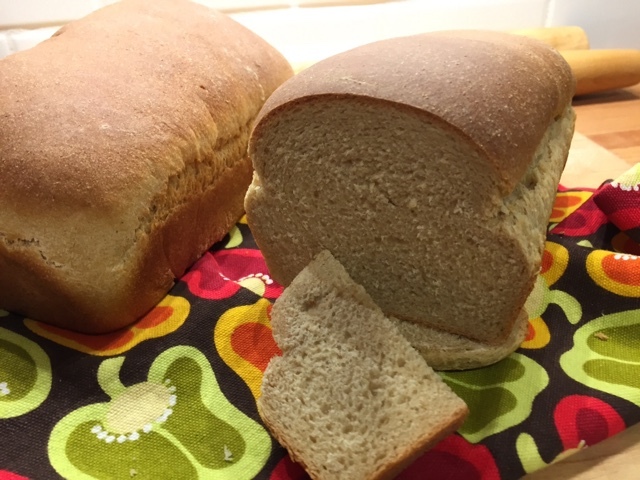 This one was compliments of King Arthur Flour's monthly bake along recipe for October - "everyday whole-grain bread" - and was also my first foray into using their white whole wheat flour. 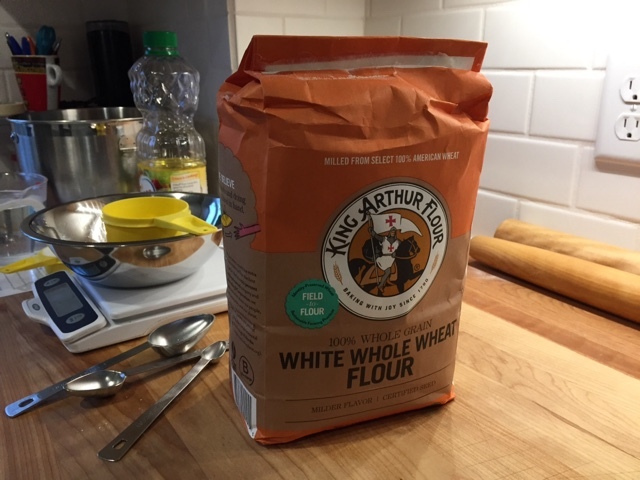 I've been a huge King Arthur fan for some years now and have used their flours for all my baking. I love their "field to flour" approach which focuses on identifying the source of the grains used in their flours. Good stuff. My intention here is not to spell out the recipe for you, but to relish in the process of bread making. 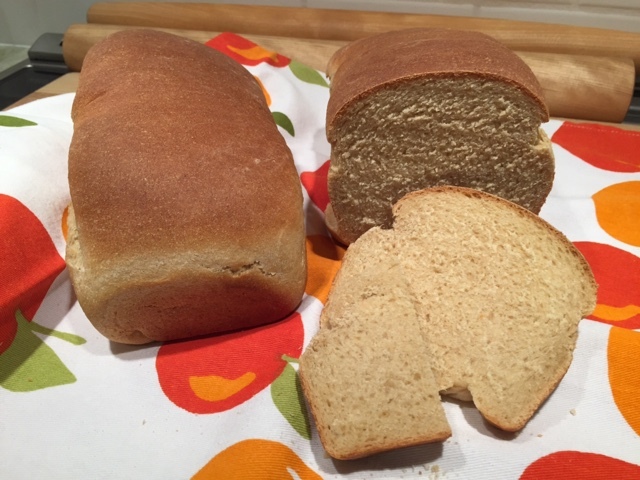 The mixing and kneading of the dough, the feel of the dough after the first rise, the tactile experience of shaping the dough and placing it in the pan for the second rise. It's all so satisfying! This one is a straight forward direct dough - mix and knead, bulk rise, shape, pan up for the second rise then bake. Yay! The end result was a dense crumbed, tasty slice of white whole wheat bread that is delicious toasted and topped with PB and J or a perfect slice of cheese -whatever one might imagine. Happy Thanksgiving weekend everyone. And don't forget to break bread with those you love.